Whether you are working from home, on the road or have personal or business needs that exceed your current equipment’s capabilities, you can rely on us for the technology and services you need to get the job done. 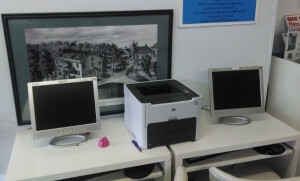 We offer computer stations equipped with high speed Internet access and the latest versions of Office, as well as publishing design programs, as well as high speed copiers, mailboxes and fax. You can get the job done — quickly and cost effectively. Do it all in one place: Ship, copy and fax! Our high speed copiers get the job done fast and for less than printing at home. Access High Speed Internet and High quality digital to paper imaging. You’ve Got Mail! 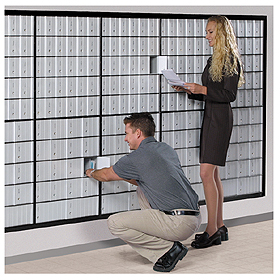 We rent private mailboxes, offering you many advantages. Give your business a real street address. Call in to see if you have mail. Save a trip!